Based in Minneapolis, Minnesota, 612 Design offers interior design services and construction resources for luxury home remodeling and building, including kitchen and bath remodels, whole house renovations and new home construction. From design concept to project completion, we work with homeowners, specialty contractors, general contractors and home builders alike. Led by Eric Carter, our professional services and My Design are available on-site within 400 miles of Minneapolis-St. Paul and virtually nationwide via video chat, phone and email. At 612 Design, we take a value-minded approach to creating luxurious and timeless living spaces—with smart, functional designs and materials that offer the best bang for your buck. Whether your remodel involves moving walls to create an open floor plan, a down-to-the-studs renovation or building a new luxury home, we’ll strive to provide you with creative inspiration and insightful guidance every step of the way. Our design team will thoughtfully collaborate with you and our quality suppliers throughout the design and material selection process to create a customized kitchen, bathroom or home that provides the "Wow” factor you truly desire and will love. From fresh design ideas and expert remodel advice to vivid 3D design drawings and specifying beautiful materials, we can help you visualize and build your dream space. And we have an established network of skilled contractors who are capable of ensuring every facet of construction is implemented according to your design plans—with uncompromising detail and craftsmanship. When it comes to luxury remodeling, we believe your new space should match your lifestyle, compliment your home and maximize your home value—with smart designs and well-thought-out renovations that seamlessly tie your new space to the existing. You want to avoid trendy or risky designs, materials and colors that could look outdated in a few years and hurt your home value or future resale. Whatever the architectural character or age of your home, we’ll help you renovate to enhance the style, quality and value of your home. Click here to see Eric Carter talk about 612 Design. When you work with 612 Design on your project, you’ll receive our volume discounts and best pricing on all materials and labor bids from our network of suppliers and contractors. In other words, our cost is your cost—without any markup in price by us whatsoever. And you’ll order, hire and pay the suppliers and contractors direct with complete transparency. Our professional services are customized to meet your specific project needs—all for a simple, flat fee. And because we don’t have huge overhead costs or extra charges beyond our original proposal, we can be very competitive with our fee and your project costs. How much will my project cost? Unless you have detailed construction drawings and have selected all of your materials (finishes), it’s difficult to provide an exact project cost. A complete kitchen or bathroom renovation can range from $10,000 to $40,000 or more, depending on the size, materials and options. For example, you could spend $2,000, $10,000 or $20,000 on a kitchen appliance package. And the same wide range in material costs applies to cabinetry, countertops, tile, flooring, etc. The reality is; if you want expert design services and high-quality materials installed by licensed, insured contractors, luxury remodeling or building isn’t cheap. While there's always ways to cut costs and save (or spend) money, we’ll help you choose the right designs and materials to fit your space, style and budget. Avoid getting “sticker shock” and hire 612 Design for exceptional service and stunning results. Whatever your project size, budget or location, we can provide the vision, value and results you’re looking for—with the attention to detail and personal service you deserve. 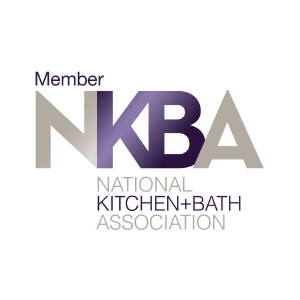 612 Design is also a proud member of the National Kitchen & Bath Association, 5-star rated on Houzz, HomeAdvisor, Google and A+ rated with the Better Business Bureau. And our homes have been featured in Luxe, Fine Homebuilding, Thermador's Kitchen Design Challenge and more. To get started, simply schedule a free phone consultation to discuss your project with expert designer and remodeler Eric Carter. During the consultation, you’ll talk about your project wish list, design goals, style and budget. Depending on your project size and location, we’ll email you to schedule an in-home visit with Eric Carter, or we’ll ask that you send us pictures and details of your project. After your in-home meeting or receiving your project information, you’ll receive a follow-up email with our expert opinion and realistic estimate of your project, along with a list of client references and a detailed proposal for our services.